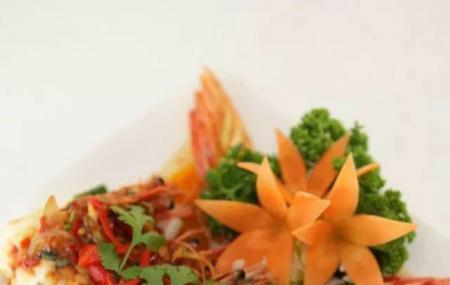 Blue Elephant is a popular restaurant which is known for serving delectable and authentic Thai cuisine. The traditional Thai dishes are recreated with a modern and innovative touch and offered in a romantic and a refined atmosphere. The staff members here are extremely friendly and would do their very best to ensure that you have a wonderful and memorable experience of dining. With their fantastic services and happy atmosphere, they hope that everyone gets to enjoy good wood. The food items are moderately spicy, and the portions served are absolutely generous and value for money. If you love Thai food and are craving some absolutely lip-smacking food, the Blue Elephant would be an ideal choice. Absolutely loved this place. The atmosphere was quint and romantic. The service was excellent and the food was great. It's also situated down a small alleyway at the back, away from the main busy Parnell street so you're not getting all the noise and traffic coming through, which is a bonus. Definitely want to come back again. Overrated place. Food is average and a bit overpriced. The highlight is the elephant-themed interior design. Good quality Thai food. Went with high expectations. Not disappointed.